Ann Ridley is Interim Dean, Business and Management, Accounting and Law at The University of Gloucestershire. Chris Shepherd is Lecturer in Law at London South Bank University. Chapters are also supported by a Key Cases section which provides the simplest and most effective way to absorb and　memorise essential cases needed for exam success. Series editors: Jacqueline Martin and Chris Turner LLM, who is Senior Lecturer in law at Wolverhampton University. 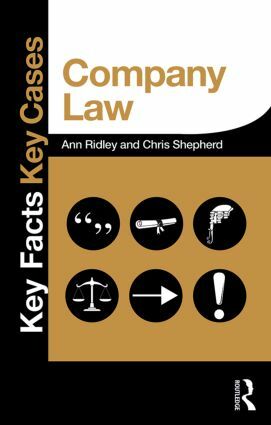 Chapters are also supported by a Key Cases section which provides the simplest and most effective way to absorb and memorise essential cases needed for exam success.